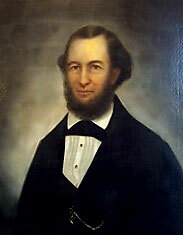 James Peter Trezevant was born in Charleston, South Carolina, on November 23, 1815. His was in the sixth generation of the Charleston-area Trezevant family, whose origins were French Huguenot. The family had arrived in Charleston in 1685. His father, John Farquhar Trezevant, was the oldest surviving son of Peter Trezevant (1768-1854) and his wife, Elizabeth Willoughby Farquhar (1772-1845). The later good fortune of James’s paternal grandparents would directly benefit his life. In 1813, James’s father, John Farquhar Trezevant, married Margaret Pepper Gignilliat, from another prominent South Carolina family. It is likely that the couple lived in the expanded house of John’s parents at 5 Stoll’s Alley in Charleston, where their children were born. John was a lawyer in Charleston. He died at age twenty-nine of “bilious fever” (probably yellow fever). When John Trezevant died in 1821, leaving five living children, his son James was only five years old. John’s widow, Margaret, and the children remained in Charleston for a year. Margaret and the five children then went to live with her younger brother at the Gignilliat plantation Contentment in McIntosh County, Georgia. John Trezevant’s younger brother, Daniel Heyward Trezevant, M.D., (1796-1862) married Ann Sewell (1795-1838) in 1820 and lived in Columbia, South Carolina. At the time of John’s death, Daniel and his wife had no children, and Daniel persuaded his widowed sister-in-law, Margaret, to let them take care of her two oldest children, Charles (age eight) and James (age seven). The boys stayed in Columbia with their uncle until 1824 and were then sent to boarding school in Darien, Georgia, where Margaret moved with the younger children about 1826. During this time the Trezevant family’s fortunes changed dramatically. In 1826, Elizabeth Farquhar Trezevant, James’s grandmother, inherited a large sum of money on the death of her uncle, John Farquhar (1751-1826), a Scotsman who lived in London. Subsequently, with her huge inheritance, she and her husband Peter moved to England with their younger unmarried children. Through the years they continuously sent gifts and money back to the States, not only to their married children but also to their widowed daughter-in-law, Margaret, and her children. That money allowed Margaret to send her children to the Academy in Darien and, in James’s case, to a prep school and South Carolina College in Columbia. South Carolina College, founded in 1805, later became the University of South Carolina. By 1835, the Anglo settlers in the northern Mexican state of Coahuila-y-Tejas were organizing to win independence from that part of Mexico above the Nueces River, which the Anglos called Texas. In the fall of 1835 Americans were reading in the press about the Texas revolt against the Mexican dictator General Antonio Lopez de Santa Anna. “Texas meetings” were held in Georgia, in Savannah and Walthoursville. On November, 12, 1835 a meeting was held, in Macon. William A. Ward was the first of the twenty-nine men to sign up, and he soon became their leader. Other volunteers signed up in Millidgeville and Columbus. Under the leadership of Ward the combined group headed overland for Montgomery, Alabama. James Trezevant, then nineteen and still in college in Columbia, must have heard about the group of Georgia volunteers that was headed for Texas. He abruptly left college and went to Augusta to visit a girl friend. He had not yet joined the Georgia group, which had reached Montgomery. They were given free passage down the Alabama River to Mobile and then went by steamer to New Orleans, Louisiana. With the remainder of the money James had for the fall term in college, he set out on his own from Augusta to New Orleans. He turned twenty years old on November 23, 1835. In December, he joined Ward’s Georgia group in New Orleans. On December 9, 1835, Ward and his men embarked for Texas on several schooners, arriving at the port of Velasco on December 20. On December 22, these original, mostly-Georgia volunteers organized officially as a military unit for the first time, calling itself the Georgia Battalion, with Ward as major and commander. Three companies were formed, and James Trezevant was a private in Bullock’s Company. On December 25, while still at Velasco, the Georgia Battalion presented itself for service to Colonel James W. Fannin, a fellow Georgian who was commander of all the volunteer troops in Texas. Eventually, these troops were all stationed at Goliad, near the San Antonio River. From there James fought in Ward’s Georgia Battalion at the Battle of Refugio on March 14, 1836. With part of the Mexican army advancing north, General Sam Houston ordered Fannin to leave Goliad and go to Victoria. Fannin ordered Ward, who had managed to evade the Mexican army while leaving Refugio, to meet him in Victoria. Unfortunately, the Mexican army forced the surrender of Fannin and his men on March 20 after the Battle of Coleto. They were taken back to Goliad as prisoners of war. Meanwhile, Ward and his remaining men, numbering about eighty-five, evaded the Mexican army and eventually took refuge in the Guadalupe swamp near Victoria. While he was regrouping them during the night of March 21, Ward inadvertently left behind eight men from the Georgia Battalion, one of whom was James Trezevant. Ward and the remainder of his men were captured by the Mexican army on March 22 near Dimmit’s Landing. They, too, were marched back to Goliad as prisoners of war, bringing the total number of prisoners there to about four hundred. On Palm Sunday, March 27, 1836, most of them were gunned down by the Mexican army in what became known as the Goliad Massacre. Though some of its members escaped during the massacre itself, the Georgia Battalion ceased to exist. Those few who had stayed in the swamp or had escaped the massacre itself set out toward Houston’s army. James Trezevant met up with three others from the swamp, Samuel G. Hardaway, Joseph Andrew, and M. K. Moses. After a number of days of living with no provisions, they were found by scouts from Houston’s army and taken to his camp on April 2. From there the army set out toward Harrisburg, on Buffalo Bayou near the San Jacinto River. The armies of Houston and Santa Anna finally confronted each other east of Harrisburg in the Battle of San Jacinto on April 21, 1836. James fought as a private in Moseley Baker’s Company, along with Hardaway, Andrews and Moses. At least four other men from the Georgia Battalion also fought in the battle. The Texans won and Texas became an independent republic. After San Jacinto, James joined Henry Karnes’s Spy Company, progressing in three months from private to lieutenant to captain and finally to brevet major. During the summer and into the fall of 1836, he served as quartermaster of the commissary at the port of Velasco. He resigned his commission in the Texas army on November 19, 1836. James was still only twenty years old. However, his last day of service was November 23, his twenty-first birthday, the age noted on his tombstone for his attaining the rank of major. In late 1836 or early 1837, he set out for Georgia to visit his family. They wanted a miniature portrait done of him in his Texas uniform. While he was passing through New Orleans, staying briefly in Georgia, or returning to New Orleans, the miniature was done. In any case, it ended up in Georgia with his family. Back in New Orleans, James studied law for a while but then moved to upstate Mississippi, to Hinds County, near Jackson. He got a position as professor of languages and military tactics at an academy or college, probably at Mississippi College in Clinton, which had been established in 1826. He continued his law studies and was eventually admitted to the bar in Vicksburg. 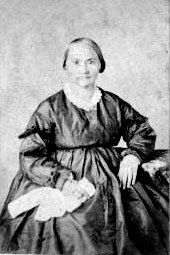 During this time James married a widow, Mrs. Mary Williams (nee Mary Ann Elizabeth Hicks), on March 5, l840, in Hinds County. James was twenty-four years old and Mary was thirty-three years old. They settled down to plantation life at Cayuga in Hinds County, southeast of Vicksburg, near the Natchez Trace. All three of their sons were born there: Vernon Charles Trezevant (1840-1856), John Farquhar Trezevant (1843-1932) and George Timothy Trezevant (1846-1890). James and his wife Mary moved to Louisiana in 1852, near what was then called Deerfield, now Delhi, in the original Carroll Parish. That parish had been carved out of Ouachita Parish in 1832, with its parish seat at Lake Providence. (After the Civil War the parish was divided along the Bayou Macon into East and West Carroll parishes, with Floyd as the seat of West Carroll Parish.) In 1868, Richland Parish, with Rayville as its seat, was carved out of several adjoining parishes. The area around Delhi ended up in Richland Parish. James’s younger brother, George Warren Cross Trezevant (1820-1893), also settled near Delhi, where he married and had his family. It is not known which of the brothers arrived in the Delhi area first. In 1855, James and Mary (ages forty and forty-nine, respectively) had their portraits painted in oil by John Antrobus (1831-1907), an English painter who had come to the United States before 1855 and become an itinerant genre artist based for a while in Montgomery, Alabama. The portraits were done near Lake Providence, which would not have been far from their home near the Deerfield stage coach crossing of the Bayou Macon. These portraits and a vintage photograph of each of the subjects are now at the Louisiana State Museum in New Orleans. At some time, James and his family moved west into what was a part of Franklin Parish, which had been established in 1843. In 1858, twenty-two years after the end of James’s service in the Texas army, he applied for two land grants offered to veterans by the state of Texas. One was a bounty grant of 320 acres for his service from December 23, 1835, to November 23, 1836. The other was a donation grant of 640 acres. A donation grant recognized participation in a specific battle. For whatever reasons, James chose the Battle of Refugio instead of the Battle of San Jacinto for his application. 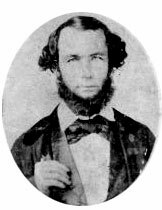 His friend Samuel Hardaway, who had become a prominent citizen of Montgomery, Alabama, wrote a letter in October of 1860 that supported James’s involvement at Refugio. From his tombstone, we know that James Trezevant died at age forty-four on November 2, 1860, at Lucknow in Franklin Parish. He was just three weeks short of his forty-fifth birthday. Lucknow was the address of a post office on Clear Lake, near Rayville, so that location was in the original Franklin Parish. That site is now in Richland Parish, created several years after James’s death. James left a young widow of fifty-three and two teenage sons, John, then seventeen, and George, fourteen. The widow and surviving sons benefitted financially when the property in Texas was sold after 1875. 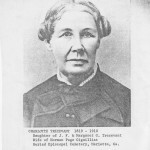 Mary Trezevant died much later than her husband, at age eighty-six, on June 8, 1893. They were both buried in the Masonic cemetery in Delhi. The story of James’s tombstone has been excellently reported by local historian Dorothy Bradley in Delhi/Deerfield: History, Legends, and Lore. The earliest date on a tombstone in the Masonic cemetery in Delhi is 1856, on the grave of Vernon Charles Trezevant. The second oldest date is that of his father, James Peter Trezevant, in 1860. Each of these stones is made of fine white marble and measures 4’ X 7’. They would have been quite expensive to produce and import to the site. The family was either well-off enough at the time of the deaths to have the stones cut then, or the stones were done sometime later as replacements. James Trezevant had inherited the pocket watch that belonged to his grandfather, Peter Trezevant. It, too, is now in the Louisiana State Museum in New Orleans. 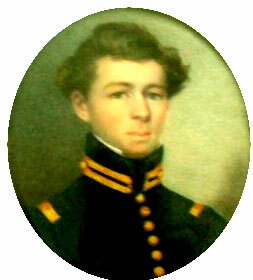 The 1837 miniature of James in his Texas uniform has miraculously survived the 175 years after it was painted. 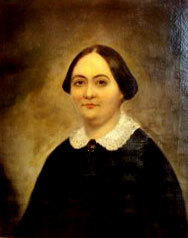 James’s widow, Mary, asked for it from James’s sister, Charlotte, who sent it from Georgia to Mary in Franklin Parish. 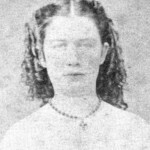 Mary had moved in with her son John Farquhar Trezevant and his new wife, Annie Vick Trezevant (1846-1913), shortly after they were married in 1867. That home was a classic dogtrot country house on Hickory Ridge. The miniature ended up there, and John inherited it at the time of his mother’s death in 1893. 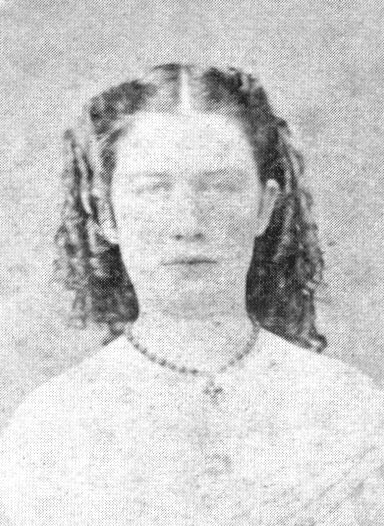 John and Annie’s oldest daughter, Mary Vick Trezevant (1869-1900), married Alexander Kincaid Montgomery, Jr. (1850-1899). The couple lived on the Montgomery family’s India plantation in Madison Parish, just east of the Bayou Macon, near the Warsaw crossing. One of the Montgomery daughters, Annie Montgomery (1896-1986), was taken in at age four in 1900 by John and Annie Trezevant after the death of her parents. After John’s wife, Annie, died in 1916, their niece Annie Montgomery stayed on in the house to take care of her grandfather until his death in 1932. She continued to live in the house and then in a replacement house on the property until her death in 1986. Twenty years earlier, in 1966, a great-nephew of hers, George Bryan Montgomery (1945-present), on break from college, visited Annie at the country house. In the barn under a pile of hay he found an old trunk, and in that trunk was the miniature. Fortunately, she let him have it, and he kept it, not knowing its provenance. It was only in the spring of 2010 that I was told by another cousin, Rick Allen, about the memoirs of James’s sister, Charlotte. She mentioned the origin of the miniature and its destination in Franklin Parish. By coincidence, that summer I contacted my cousin George Montgomery about family genealogy, and it was only then that we could connect the object to his story. George Montgomery has donated the miniature to the Louisiana State Museum in New Orleans, to accompany the portrait and photograph of James that are already there. Bradley, Dr. Dorothy Phillips. Delhi/Deerfield: History, Legends, and Lore. Compiled by Delhi Garden Club. Delhi, LA: Delhi Garden Club, 2009. Croce, George C. and David H. Wallace. “John Antrobus.” In The New York Historical Society’s Dictionary of Artists in America 1564-1860. New Haven, CT: Yale University Press, 1957. Davenport, Harbert. Notes from an Unfinished Study of Fannin and His Men, with biographical sketches, 1936, ed. by David Maxey. Texas State Historical Association: 2002. www.tshaonline.org/supsites/fannin/ (accessed November 15, 2013). Davis, Robert S., Jr. “Georgia Battalion in the Texas Revolution.” Central Georgia Genealogical Society Quarterly Vol. 7, No. 2 (1985): pp. 64-69. —. “Georgians at San Jacinto.” Robert S. Davis Collection, Hargrett Rare Book and Manuscript Library. Athens, Georgia: University of Georgia, 1986. —. “Goliad and the Georgia Battalion: Georgia Participation in the Texas Revolution,1835-1836.” Journal of Southwest Georgia History Vol. 4 (1986): pp. 25-55. Gignilliat, Charlotte Trezevant. Sketch of the Life of Mrs. Charlotte Trezevant Gignilliat, 1819-1910: Written by Herself at the Request of Her Children and Grandchildren. Edited by R. Read Gignilliat and Robert D. Gignilliat IV. In Gignilliat Family Papers (1831-1867, 1910), Library of the University of North Carolina, Chapel Hill, NC. NOTE: Charlotte Gignilliat Trezevant was the daughter of John Farquhar Trezevant (1791-1821) and Margaret Pepper Gignilliat (1791-1862) and a younger sister of James Peter Trezevant. 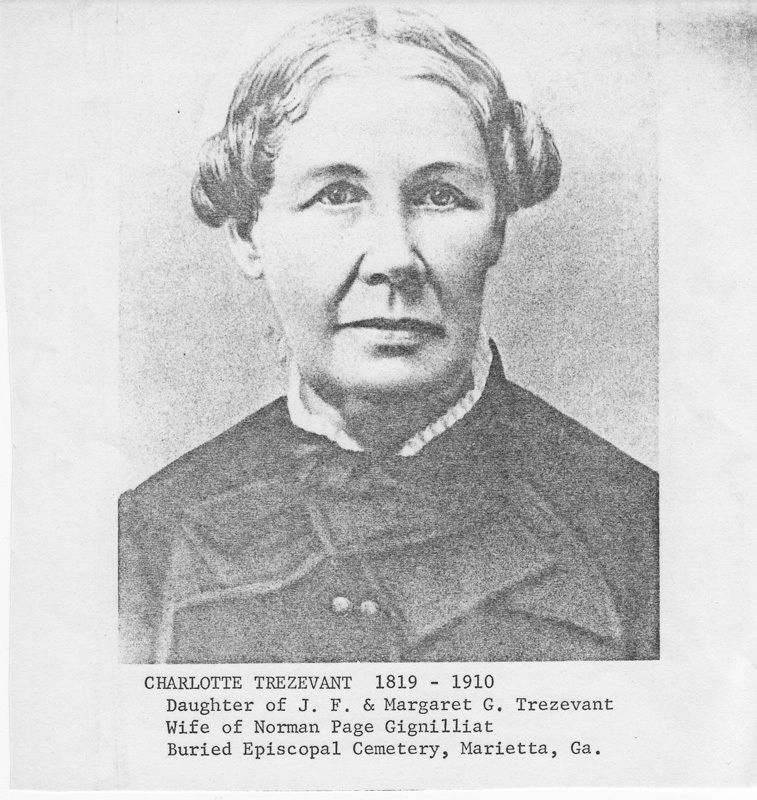 She married her cousin Norman Page Gignilliat (1809-1871): Hence the name Charlotte (Gignilliat) Trezevant Gignilliat. Holmes, Margaret Gignilliat. Family Stories and Reminiscences of Ante Bellum Days Told by Margaret Gignilliat Holmes (1847-1920). Edited by R. Read Gignilliat and Robert D. Gignilliat IV. In Gignilliat Family Papers (1831-1867, 1910), Library of the University of North Carolina, Chapel Hill, NC. NOTE: Margaret Gignilliat Holmes was the daughter of Charlotte Trezevant Gignilliat and Norman Page Gignilliat and was a niece of James Peter Trezevant. Hopewell, Clifford. Remember Goliad: Their Silent Tents. Austin, TX: Eakin Press, 1998. Kenan, Robert Gignilliat. History of the Gignilliat Family of Switzerland and South Carolina. Easley, SC: Southern Historical Press, 1977. McKeehan, Wallace L, ed. “Samuel G. Hardaway.” San Patricio and Refugio Mission. Sons of DeWitt Colony Texas: 1997-2001. http://www.tamu.edu/faculty/ccbn/dewitt/dewitt.htm (accessed November 15, 2013). NOTE: This site contains nine personal narratives from participants in the Battle of Refugio, including that of Samuel G. Hardaway. Miller, Thomas Lloyd. Bounty and Donation Land Grants of Texas, 1835- 1888. Austin, TX: University of Texas Press, 1967. Moore, Stephen L. Eighteen Minutes: The Battle of San Jacinto and the Texas Independence Campaign. Dallas, TX: Republic of Texas Press, 2004. O’Connor, Kathryn Stoner. The Presidio La Bahía del Espíritu Santo de Zúñiga, 1721 to 1846. Austin, TX: Von Boeckmann-Jones, 1966. Pinkston, Georgia P. D. A Place to Remember: East Carroll Parish Louisiana 1832-1976. Baton Rouge, LA: Claitor’s Publishing Division, 1977. Richland Memories. Edited by Innes Ellis Green and Gladys Diamond Lane. Rayville, LA: Original Rhymes Library, 2001. Texas General Land Office. “Trezevant.” File #001002. Republic and State Land Grants. www.glo.texas.gov (accessed November 15, 2013). —. “Trezevant.” File #008198. Republic and State Land Grants. www.glo.texas.gov (accessed November 15, 2013). Texas State Library & Archives Commission. “Trezevant.” Republic Claims. www.tsl.state.tx.us (accessed November 15, 2013). NOTE: This site contains 19 documents related to James Peter Trezevant’s military service in the army of Texas. Trezevant, John Timothee. The Trezevant Family in the United States. Charleston, SC: The State Company, 1914. Trezevant, Robert W. “Trezevant Family Tree.” Ancestry.com. www.ancestry.com (accessed November 15, 2013). Trezevant-Vick Family Bibles, 1872. Louisiana State Museum, New Orleans, LA. Brands, H. W. Lone Star Nation: The Epic Story of the Battle for Texas Independence. New York, NY: Anchor Books, 2004. Davis, William C. Lone Star Rising: The Revolutionary Birth of the Texas Republic. New York, NY: Free Press, 2004. —. A Way Through the Wilderness: The Natchez Trace and the Civilization of the Southern Frontier. New York, NY: Harper Collins, 1995. Elliott, Claude. “Georgia and the Texas Revolution.” Georgia Historical Quarterly 28, no. 4 (1944): pp. 1-19. Griffith, Joe. “Fighting for Texas: Georgians and the Battle for Texas Independence.” Journal of the Historical Society of the Georgia National Guard 5 (1996): pp. 7-21. Hardin, Stephen L. Texas Iliad: A Military History of the Texas Revolution 1835-1836. Austin, TX: University of Texas Press, 1994. Marshall, Bruce. Uniforms of the Alamo and the Texas Revolution and the Men who Wore Them 1835-1836. Atglen, PA: Schiffer Publishing, 2003. Miller, Edward L. New Orleans and the Texas Revolution. College Station, TX: Texas A&M University Press, 2004. Scarborough, Jewel D. “The Georgia Battalion in the Texas Revolution: A Critical Study.” The Southwestern Historical Quarterly 64, no. 4 (1960): pp. 511-512. Stout, Jay A. Slaughter at Goliad: The Massacre of 400 Texas Volunteers. Annapolis, MD: Naval Institute Press, 2008.